Click here to sign up for our free, daily e-letter from the Newsnight presenters. 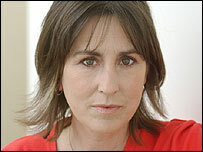 Thursday's programme, presented by Kirsty Wark. Osama bin Laden's second-in-command blames Tony Blair for the London bombings and threatens further attacks. Ayman al-Zawahri warns that countries allied with the United States will not be safe until they withdraw from Islamic countries. He repeats bin Laden's offer of a truce - but is it ever possible to negotiate with a group like Al Qaeda? Interest rates have been cut for the first time for two years - proof if any were needed of an economic slowdown. With house prices stagnant, consumer demand dampened and manufacturing output in decline is it time to panic yet? Our Economics Editor Stephanie Flanders knows. The BBC's former war correspondent Martin Bell returns to Sudan to witness for himself the humanitarian disaster unfolding in Darfur. He finds the camps established as temporary shelter for refugees are fast becoming a permanent home for hundreds of thousands of people displaced by the conflict. The Germans have always been known for their efficiency - but now that extends to the German language. A spelling reform comes into effect this week to simplify the language that has baffled English speakers for centuries. Stephen Smith will give you the new German rules - and asks whether it's time we should be changing Leicester to Lester, rough to ruff and the phone to fone.